I just took a few better pics and posted them. Again, it’s a great kit straight from the box. I painted it with Humbrol enamels including my last tins of Humbrol Authentics Slate Grey and Extra Dark Sea Grey. I must have had these tins since 1977-78, great paint! I just added Eduard belts, no other aftermarket. The decals performed flawlesslysandwiched between Future coats. I finished the a/c off with Humbrol semi-matte clear enamel. Looks good John. Lot of different colors. Thanks Al. The yellow areas were applied to FAA trainers. 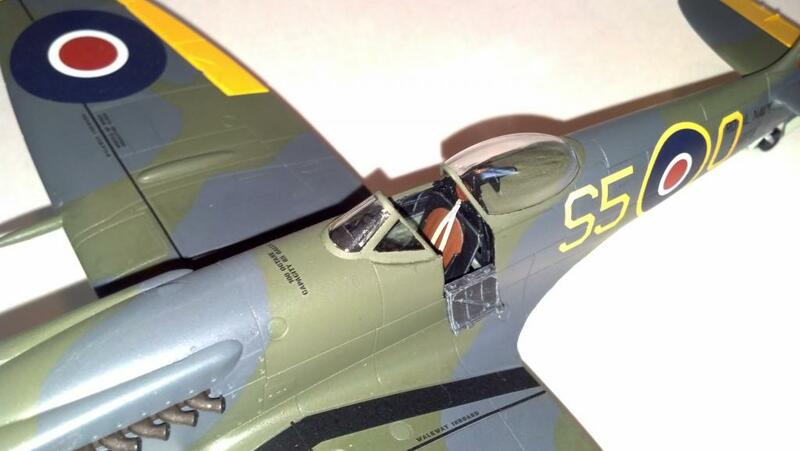 This particular plane served at the FAA gunnery school during the late ’40s. Damn I’ve always had a weakness for those tear drop canopied Spits. Very nice, love the scheme. 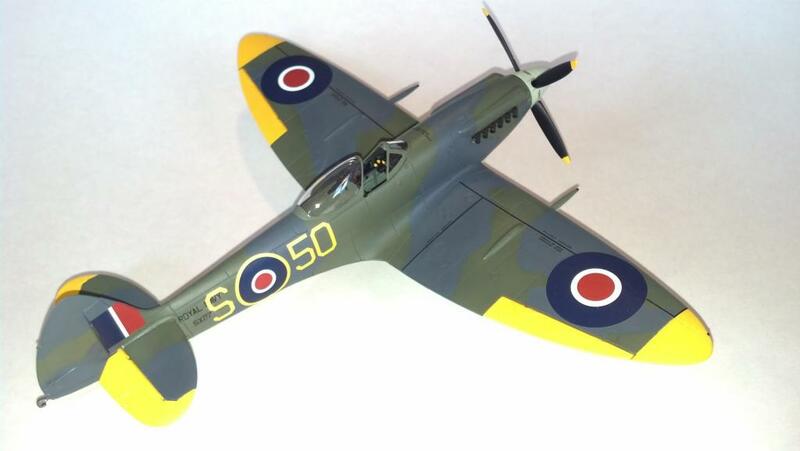 Wow, that’s a nice looking Spitfire ,well done. Nice! I’ve just started mine. Thanks Gregor. I’m looking forward to seeing yours. 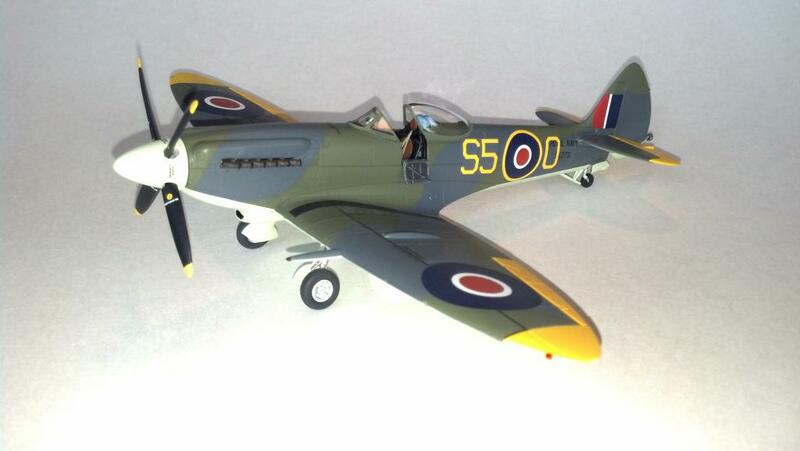 I enjoy seeing these new Airfix Spitfires/Seafires being built. It is a surprisingly heavy model when done and I was a bit worried about the gear, but it’s held up well for two years now. Really nice John ! Thanks again for the exciting build ! Just plain beautiful. Nice clear pictures too! 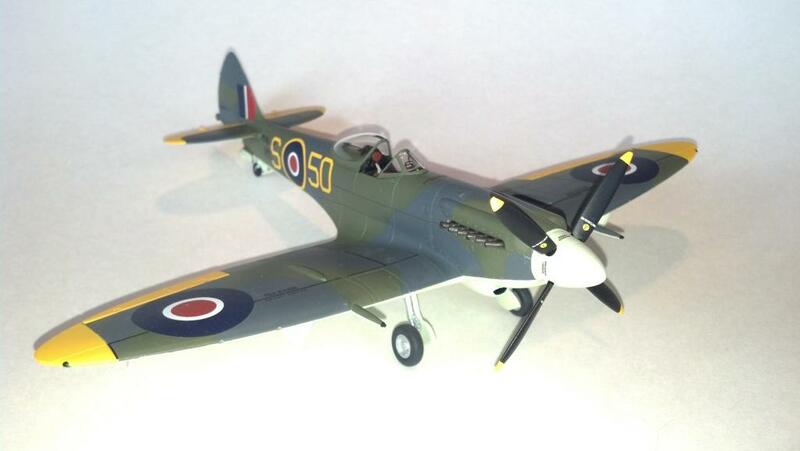 It’s good to see another FAA model & especially of a Seafire. Thanks Tony! 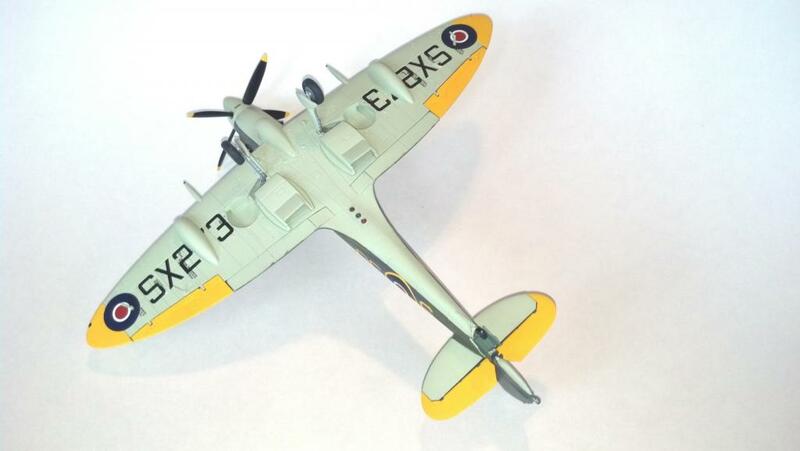 We can never have too many Seafires. 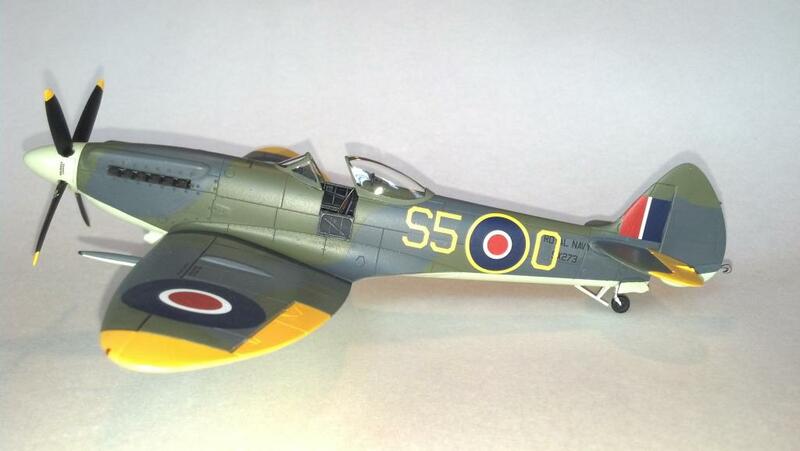 Very nice build of a beautiful aircraft. Absolutely beautiful. I like the model and love the scheme. Great job.